Astrid Lindgren created one of the most beloved and groundbreaking characters in children’s literature: Pippi Longstocking. 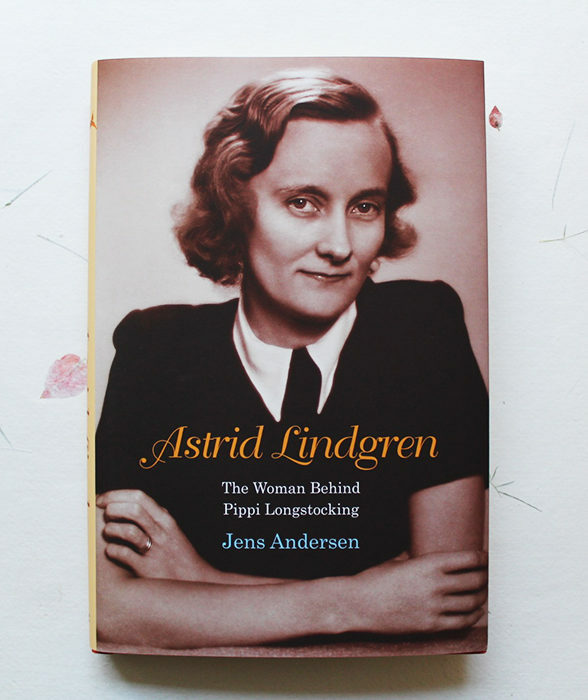 To mark the publication of Jens Andersen’s biography Astrid Lindgren: The Woman Behind Pippi Longstocking, we’ve selected eight key images of Astrid that celebrate her life in pictures. 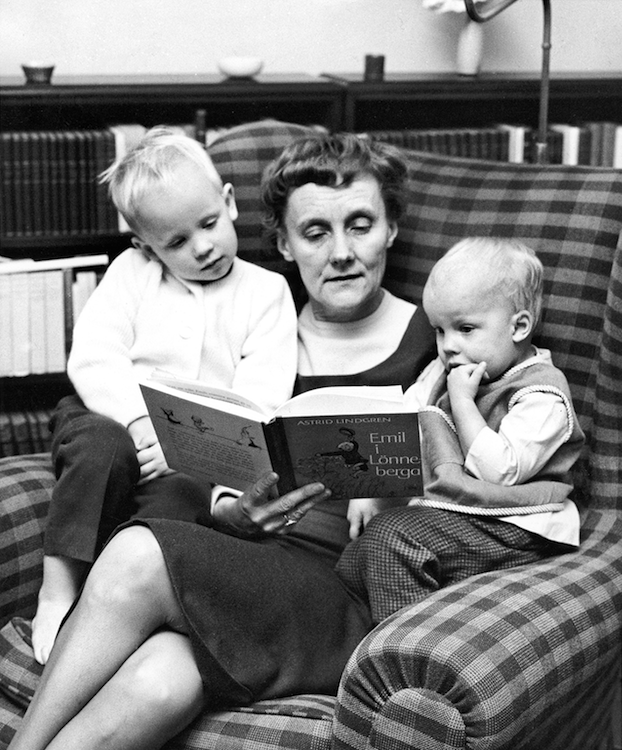 ©Private ownership/The Astrid Lindgren Company Astrid Lindgren (third from left) was born in 1907 in Vimmerby, in Småland, Sweden to Samuel Ericsson (left) and Hanna Jonsson (right). Astrid was one of four children. 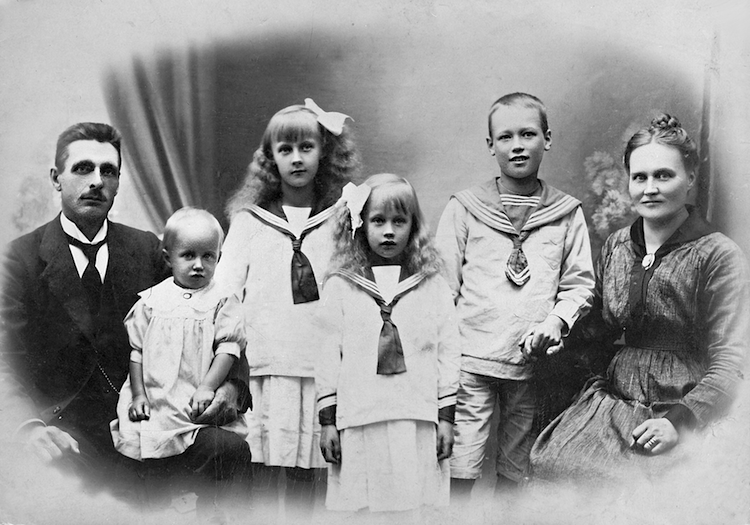 She is pictured here with her younger sisters Stina (1911), and Ingegerd (1916), and her older brother Gunnar (1906). ©Private ownership/The Astrid Lindgren Company Astrid was an incredibly intelligent young woman. She cut across many standards and traditions expected of young women in the early twentieth century. She is said to have had an infallible ‘tomboy’ aura. A curious and eager reader, she was to up to date with all the latest fashions and cutting edge trends. 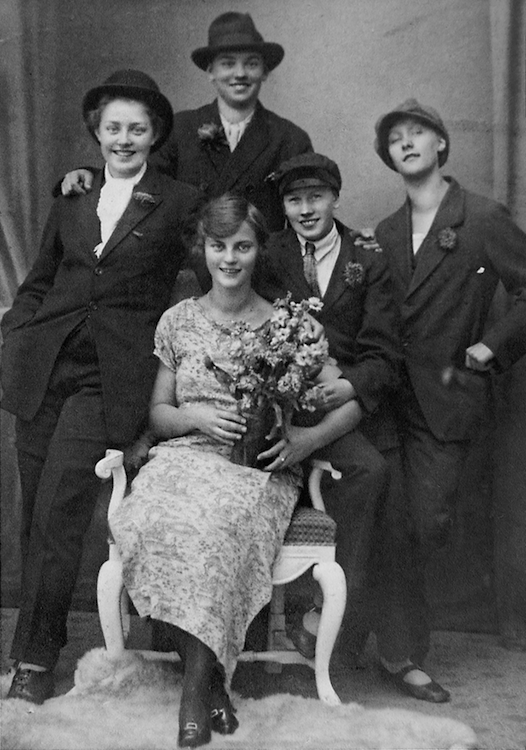 Here she is (right) as a teenager, dressed as a male suitor at her friend’s birthday party. 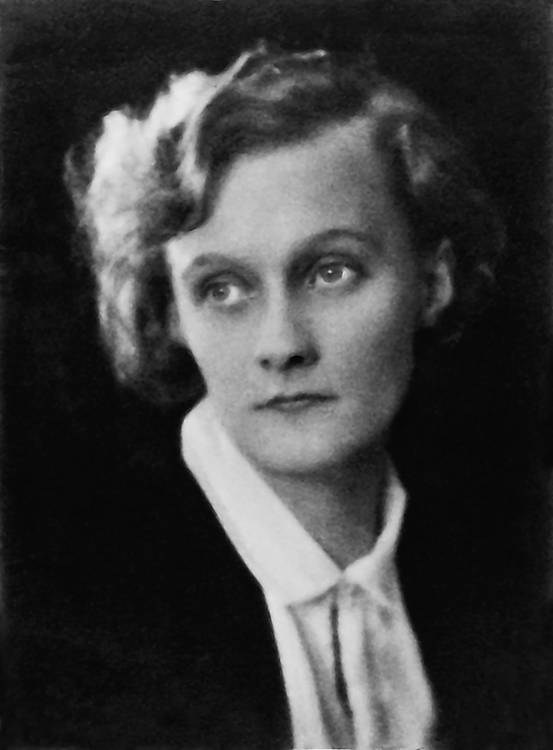 ©Private ownership/The Astrid Lindgren Company In 1923, Astrid took a job as a trainee journalist at the local paper the Vimmerby Tidning. At the age of sixteen she was the youngest female journalist taken on board in Vimmerby history. She stayed at the paper for around three years until she fell pregnant with her first child. She refused to marry the father (who was also her employer), and moved to Stockholm to give birth. 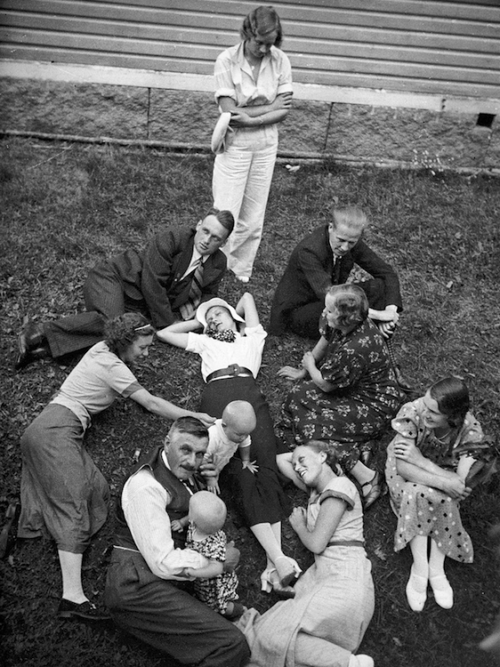 ©Private ownership/The Astrid Lindgren Company In Stockholm in 1926, Astrid gave birth to her son, Lars. He is fostered by a family in Copenhagen, and Astrid continues to visit him regularly, and works towards gathering the finances to bring him home. 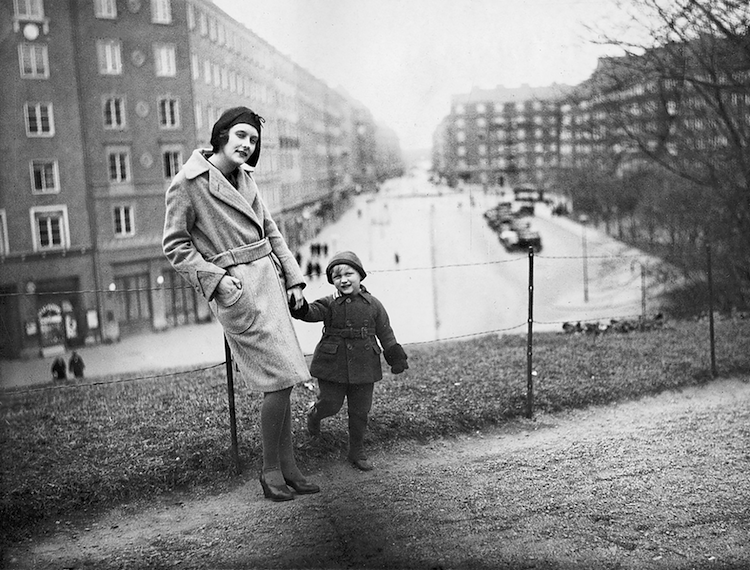 She started a job with a motor magazine, and meets Sture Lindgren whom she marries in 1931. Astrid and her son, Lars, are finally reunited for good after he turns five. 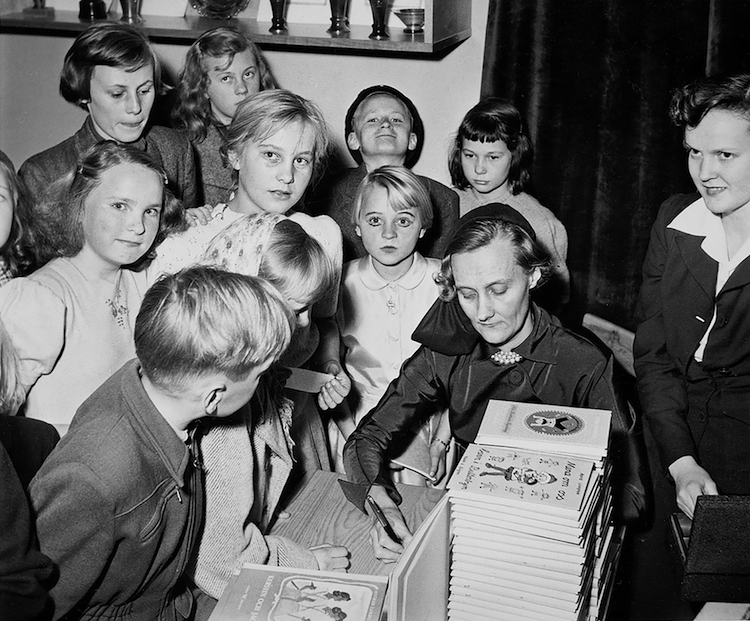 ©Private ownership/The Astrid Lindgren Company In 1934, Astrid (centre) gave birth to a daughter, Karin. She continues to write, and her short stories and works appear in various small publications. The famous character of Pippi Longstocking first appeared when she was entertaining Karin, and her young daughter said, ‘Tell me a story about Pippi Longstocking’. 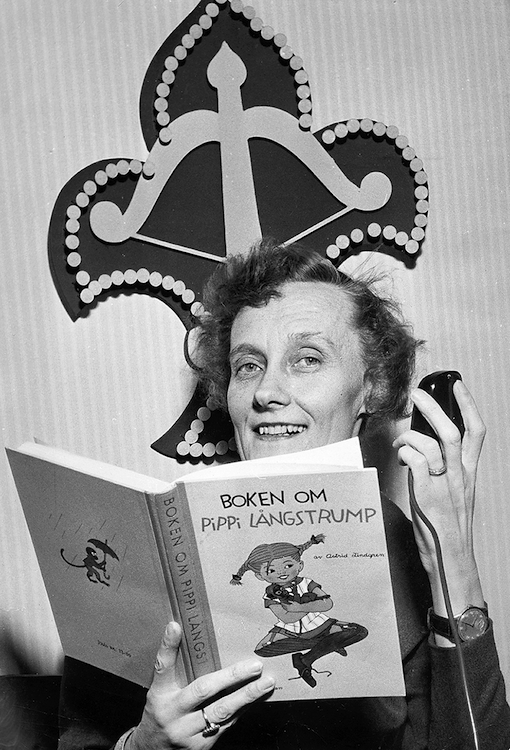 ©Private ownership/The Astrid Lindgren Company In 1944, Pippi Longstocking (Pippi Långstrump) is published by Rabén & Sjogren after she won first place in one of their writing competitions. It was illustrated by Danish illustrator Ingrid Vang Nyman. The script had been rejected by various other publishers before her success. ©Private ownership/The Astrid Lindgren Company Pippi Longstocking quickly became a hit with children all over the world. It has since been translated into approximately 60 languages. Further to that, it has been adapted into many films and television series. Astrid’s career took off after its success, and she began writing other works, which include the Emil of Lönneberga series, and Ronia the Robber’s Daughter. ©Private ownership/The Astrid Lindgren Company After a long career, selling over 150 million books worldwide, Astrid retired in Stockholm. She passed away in 2002 at the age of ninety four. Having created one of the most beloved children’s characters in twentieth century literature, she has been honoured in various ways – she is on the 20 kronor note, and the Astrid Lindgren Memorial Award continues to honour internationally renowned children’s literature. Jens Andersen is an award‑winning author whose works include a highly acclaimed biography of Hans Christian Andersen. He lives in Denmark and serves as literary critic for several Danish newspapers. Caroline Waight is an award‑winning freelance translator from Danish and German. How do you talk to a Russian gangster?